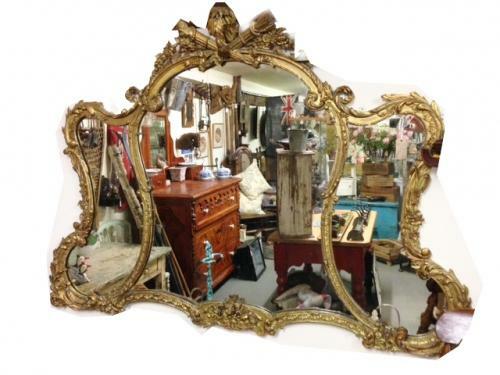 Wonderful large 19th cent antique gilt mirror measuring 5ft 6inches wide x 4ft tall. All original glass. The gilt frame has had some restoration but is in overall good condition and well presented and ready for hanging in any Georgian living room or similar.